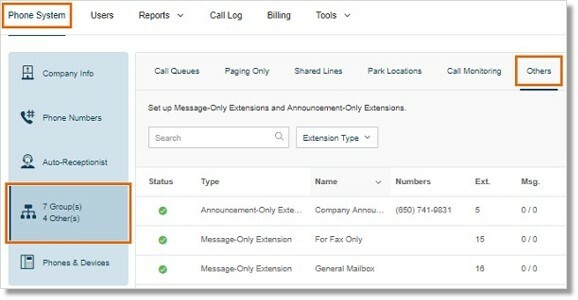 An Announcements-Only extension plays an announcement message to callers which eliminates the redundancy of repeating the same message to another caller. This can be created by Account Administrators on the Office@Hand Online Account. An Announcement-Only Extension is dedicated to playing a message to your callers as an announcement. This eliminates the repetitive task of saying a message to a caller after the other. 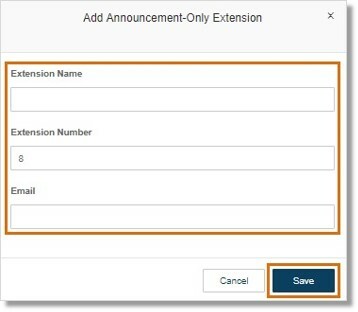 Click the drop-down below Others, then select New Announcement-Only Extension.